Discover the four social marketing tools and how to select the best social vendors based on the challenges that they address. 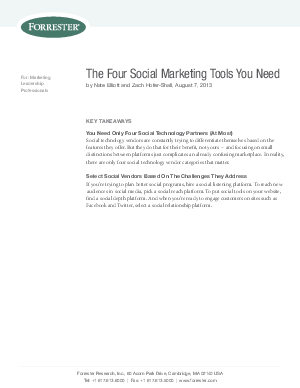 This report introduces the four categories of social technology that marketers should consider to help select the right tools and technology for your social marketing plans. Download the paper to learn more.